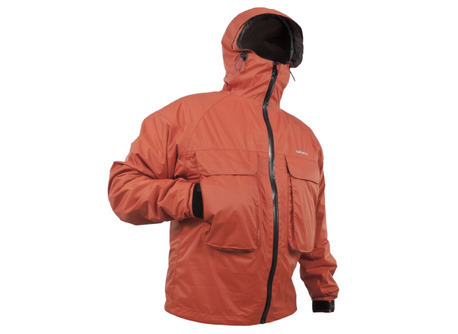 Incorporating the very latest in material technology and production techniques, this Geo top of the range wading jacket offers supreme comfort and performance in all conditions, at an affordable price. Behind the chest pocket cover flap are two webbing loops to attach zingers, etc, plus two small D-rings, to attach wading staff lanyards, priests, etc. The tough nylon front zip is hidden behind our 'trademark' double front storm flaps with Velcro pad fastening and stitched inner rain ‘gutter’, to prevent water ingress. 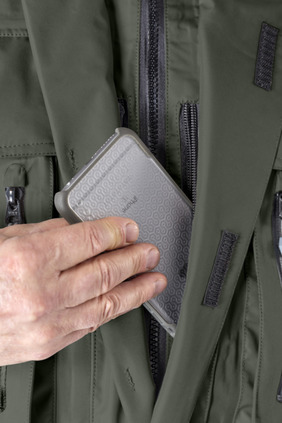 The two rain-proof zip pockets, under the storm flap but outside the main zip, allow quick and easy access, without having to open the front zip and are ideal for mobiles, car keys etc. 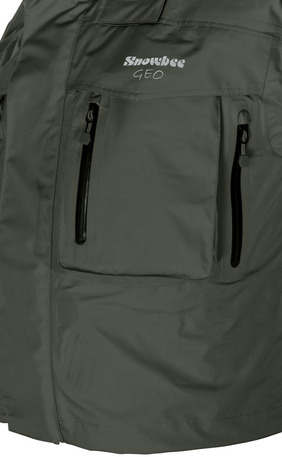 heavy duty net D-ring on the back, plus a Velcro Rod Tab and concealed Rod Loop on the front. Elasticated drawcord around bottom hem, with neat, concealed toggle-lok adjusters. Manufactured using a top quality 3-layer, 100% polyester outer shell, with our class-leading Vapour-Tec® breathable membrane, providing a top performance specification of: Breathability: 4,000g/m2/24hrs and Hydrostatic pressure (waterproofness), of 8,000 mm, which is guaranteed to keep you cool and dry in even the most adverse conditions. 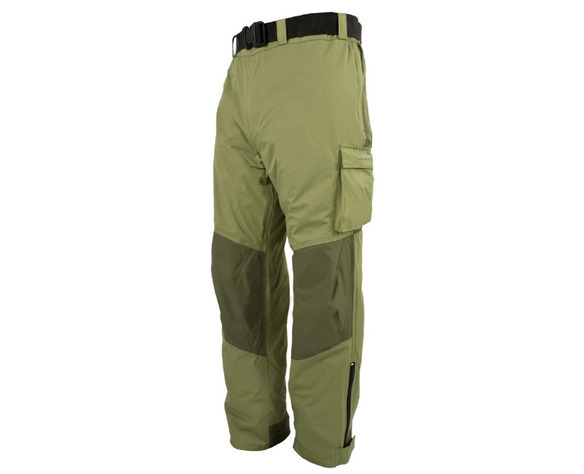 Available in sizes: S-36/38", M-38/40", L-42/44", XL-46/48", XXL-50/52"
The Soft-Shell Fishing Trousers use a soft, lightweight polyester outer shell with 4% elastane to give high-stretch properties for extra comfort and freedom of movement. 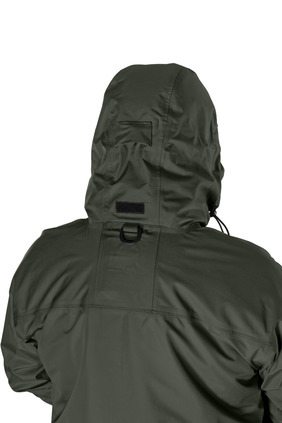 This is laminated to a dense, micro-fleece inner lining for warmth, with a breathable, waterproof membrane laminated in between, providing a specification of 3,000g/m²/24hrs breathability and 3,000mm Hydrostatic pressure. 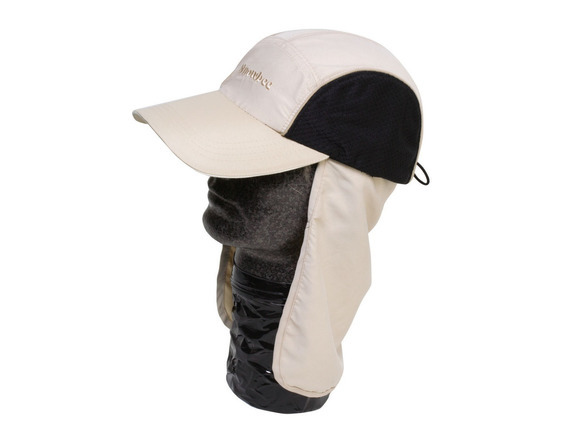 This makes the material 100% waterproof, breathable and windproof. 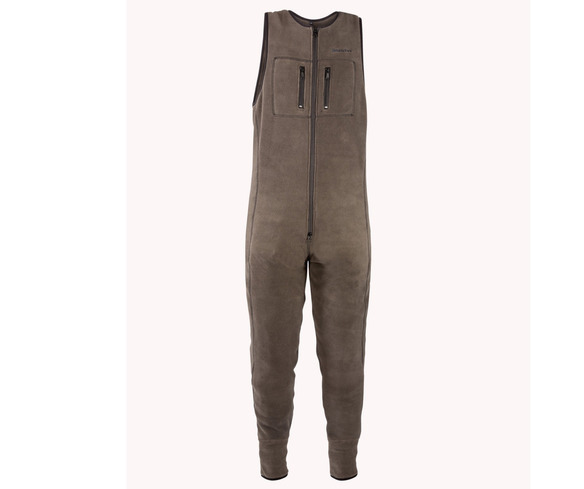 Designed as a mid-layer garment under waders, or breathable jacket and trousers, our new fleece salopettes will keep you warm on the coldest of days. Made from a new 'open weave' polyester fleece, which traps more air, for enhanced insulation and breathability, keeping you warm and dry. 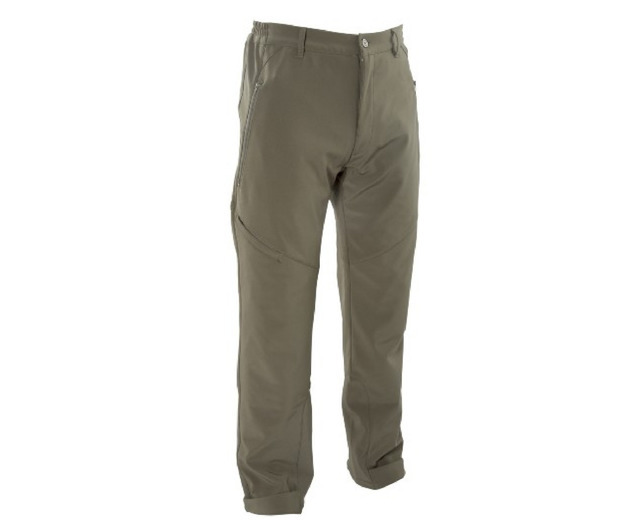 A new style stitching provides completely flat seams, with no hems, for complete comfort, under waders. 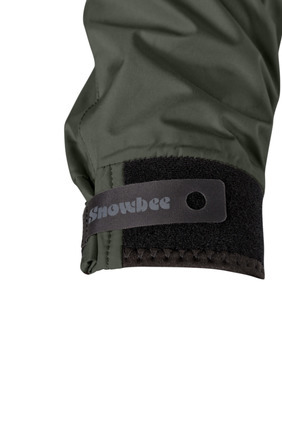 Narrow, elasticated ankle cuffs prevent the legs riding up, inside waders. Two zipped chest pockets for essentials; mobile, wallet etc. We’ve all been caught out by the weather when we wished we’d taken a waterproof! Our new Mini-pack Wading Jacket solves the problem. Packing down into a carry bag measuring an amazing 7” x 3.5” and weighing a mere 320g, the Mini-pack still ‘packs a mighty punch’ in terms of specification! Manufactured from a quality nylon outer shell, treated with a DWR finish, laminated to a high performance Vapour-Tec breathable membrane. 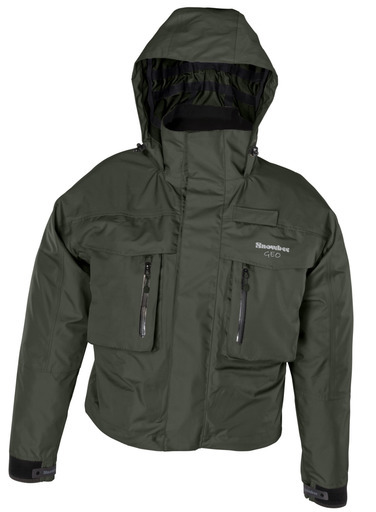 Our ultra-lightweight wading jacket really can be taken wherever you go… just in case! 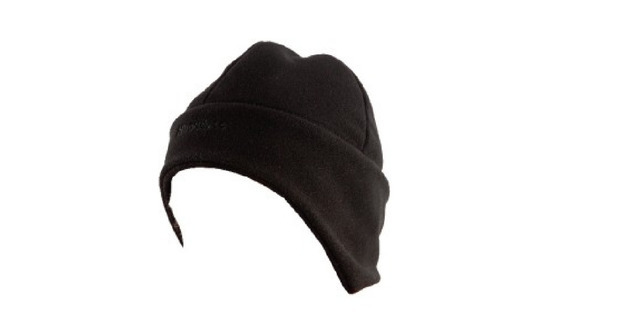 Similar to the fleece 'beanie' but with added ear flaps, for those really cold days. The extended earflap hem can be rolled up, & worn like a normal beanie or pulled down as the temperature drops & the wind increases. Microfibre outer, polyester filling and a micro-fleece lining. Fold-down ear flap. An adjuster strap at the back allows final adjustment for size. 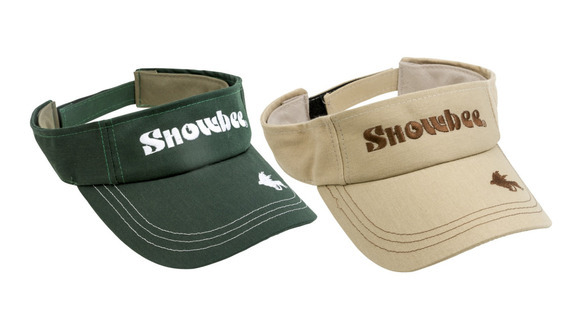 The Visors are simply a stiffened head-band with peak attached for those really hot days. 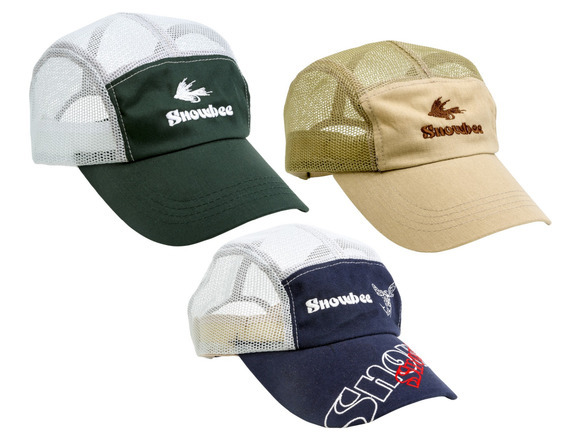 The popular baseball style fishing caps, shade the eyes and offer warmth in the winter months, but can often be too hot during the summer, when all you require is a peak to shade your eyes. Our new, lightweight range of Mesh Caps solves that problem. 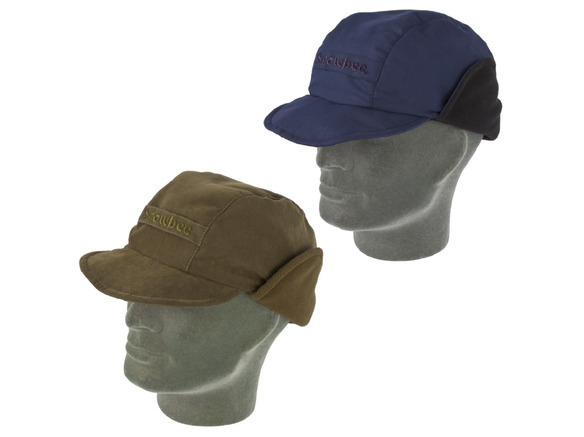 The Mesh Caps are based on our popular 5-panel design, but with the side and rear panels replaced with a cool mesh material for ventilation.